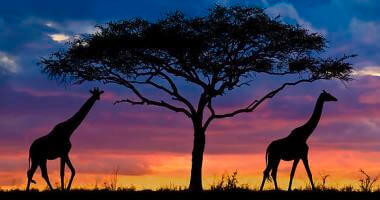 African Safaris and Travel - Our safaris reflect every travelers style, time frame and budget! On arrival in Maun, Kwando guests are taken to our private air conditioned lounge. Your first stop, a mere 25 minutes flying time, will be at Kwara Camp, deep in the crystal clear permanent waters of the Okavango Delta. Time at Kwara will reveal why the Delta, with all its remarkable plant, bird and animal life, is unique in the world. The water experience, either fishing, on a mokoro or exploring the channels and rivers by boat, is spectacular. From Kwara, it’s a flight north to Lebala Camp at the southern edge of the massive Kwando concession. You may be tempted to while away the hours in the luxurious tents, but the promise of some of Africa’s best game viewing will hopefully lure you onto a game drive and out across the stunning wide open plains around the camp. The intimate and tranquil atmosphere of Lagoon camp, some 30 kilometers away is next. Set on the banks of an oxbow of the Kwando River, Lagoon is remote and beautiful. For many months of the year you’ll see elephant drinking from the water next to the camp and witness the huge herds of buffalo that keep close proximity to the Kwando River. 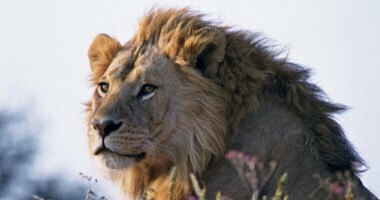 Wild dogs, lion, cheetah, leopard and hyena are all never far away from their food sources. Over the years, many of our guests have been fortunate enough to see some of the incredible interactions between predator and prey species. Sometimes, even predator against predator. These are ancient struggles that very few people in the world are privileged to witness. To round out your Kwando Safari, you’ll then continue to Livingstone in Zambia / Victoria Falls and stay for two nights at Stanley's Safari Lodge. 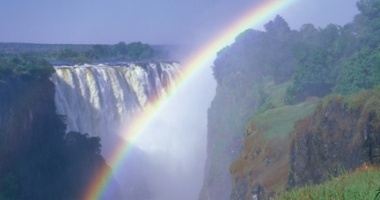 Victoria Falls is one of the natural wonders of the world and whether you choose to white water raft, absorb the culture of an authentic African village experience, take a sunset cruise or even play golf, there is a tremendous range of activities. The staff at Songwe will ensure a wonderful stay!. After breakfast we travel to the airport where the safari comes to an end. This is a "best of" guide to Kwando camps and facilities. An ideal package if you have the time. Of course there are many permutations of the above itinerary to suit the specific requirements of our guests. 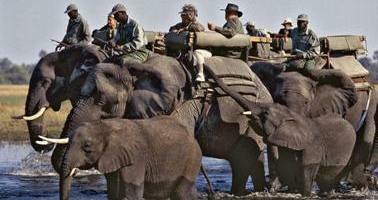 A visit to Victoria Falls is included in the safari fare.